November marked my 40th anniversary as a business reporter. Obviously, I was in this profession for the long-term. I mention this because, if my editor at the Houston Business Journal had asked me for a list of the best stocks to own forever in 1978, it would have been heavy on oils, industrials and consumer staples, names like British Petroleum, General Electric and Campbell’s Soup. I might have added a strong local bank there, like Texas Commerce. But what I called long-term thinking turned out to be short-term thinking. It didn’t take account of long-term, systemic change. The companies that now dominate the economy were then startups, such as Microsoft (NASDAQ:MSFT) and Apple (NASDAQ:AAPL), or barely gleams in their founders’ eyes like Amazon.com (NASDAQ:AMZN). Mark Zuckerberg of Facebook (NASDAQ:FB) hadn’t even been born. Own no stock forever. The right strategy is to buy the best stocks you can, watch them carefully, and adjust to change as it happens. The best 1978 investment for 2018 would have been an index fund tracking the S&P 500. But the First Index Investment Trust, now the Vanguard 500 Index Fund (MUTF:VFINX), was itself a virtual startup in 1978, having been launched at the end of 1975. If I were to get one investment for my as-yet-unborn grandson or granddaughter, it would be that. The biggest change in my working life has been the one I covered — computer technology, Moore’s Law. It has made many people billionaires. It has moved the center of our economic life from Houston to San Francisco. But I can’t guarantee my son or daughter that this will remain the story. I personally believe biotechnology, through companies that have yet to be founded, will be providing more value than “tech stocks” by the middle of this century. If I were asked to guarantee a great long-term technology bet back in 1978, I might have said Digital Equipment Corp., whose CEO, Ken Olsen, famously (although misquoted) said the year before, “there is no reason for any individual to have a computer in his home.” He was speaking, however, of massive computers that control everything in the home. Today, Amazon is attempting just that. The PC industry has since risen and fallen. When we talk technology today, we talk of clouds and devices, neither of which existed, as such, at the start of the twenty-first century. Mostly today, we talk of the cloud. Of all the companies I call “Cloud Czars,” the one with the brightest future appears to be Amazon. That’s because its business is highly diversified. It uses the cloud in retail, in media, in computer services and it’s going to be in banking and healthcare. Amazon represents an essential infrastructure for modern life, cloud computers and scaled fulfillment centers. Tens of thousands of companies depend upon Amazon to compete with companies like Walmart (NYSE:WMT). In any move to break up Amazon, these merchants would rise as one and stop it. Amazon, of course, was only supposed to be an online bookstore at its founding in 1994, competing with larger, physical bookstores such as Portland’s Powell’s Books. But CEO Jeff Bezos saw new opportunities and took them, usually with an eye toward re-selling access to the infrastructure he needed to sell them. That’s where Amazon Web Services, the company’s chief profit driver, came from. 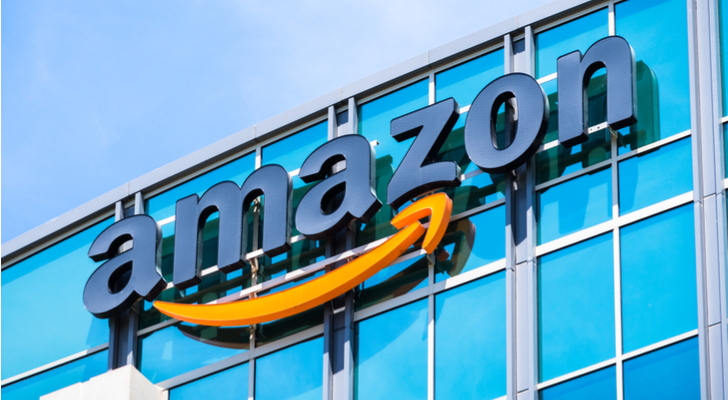 Amazon needed scaled, reliable data centers to run the online store, and found it could build more by re-selling the capacity, while larger competitors like Google, now part of Alphabet (NASDAQ:GOOGL), were keeping those resources to themselves. It was already selling access to its physical warehouses as well as its financial and delivery infrastructure. Genius is often what seems obvious at the time. The problem here, of course, is that no one lives forever. I can’t promise that Bezos’ successors will be as quick-witted as he has been, that they won’t stumble or go down blind alleys. In the 1970s, banking was completely different from what it is today. It was done in banks, and that was considered best for the long-term. Back then, Automated Teller Machines (ATMs) were brand new. James Goodfellow, a Scot, patented the key technology, the four-digit Personal Identification Number (PIN), in 1966, and the first U.S. ATM appeared in 1969. That ATM was owned by Chemical Bank. Chemical was one of the industry’s leading consolidators, buying other banks willy-nilly, culminating in the acquisition of Chase Manhattan in 1996, at which time it assumed the Chase name. The successor to that company, after many more mergers, is JPMorgan Chase (NYSE:JPM). JPMorgan Chase today has assets of over $2.5 trillion, and its value has doubled over the last five years under CEO Jamie Dimon. Dimon, of course, is close to my own age, and I can’t guarantee his successors will be as savvy as he has proven to be. I can’t even guarantee that banking will remain what it is today. Few industries are being as directly impacted by technology as banking. There are now branches with no employees, and cash cards are being replaced by phone apps. Maintaining control over depositors’ money, distributing loans to businesses and individuals, and managing corporate treasuries are all subject to disruption by “fintech,” which replaces cards and mainframes with clouds and software. But, just as Chemical turned into JPMorgan Chase because its deposits had value, so will the larger bank evolve, and I suspect my kids’ money will evolve with it. In every generation, a new industry comes to dominate the economy, providing enormous added value, eventually gaining political power. 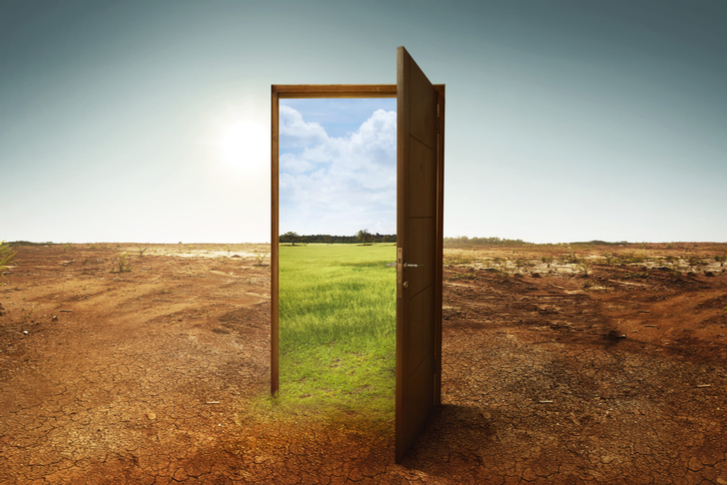 Seeing change is the key to long-term investment success. Railroads held power when Charles Dow and Edward Jones were first getting together, in the late nineteenth century. Then utility “trusts” were built, which made mass manufacturing possible. When I started my career, oil was coming to dominate the economy. Today technology provides the fattest productivity gains, and tech is attaining political power to go along with this economic strength. But this won’t remain the case. Biotech is the future. The next decades will be an age of miracles, as DNA itself becomes a virtual computer language, and new forms of life are created aimed at breaking the fever we call global warming, which threatens to kill mankind the way man kills a virus with fever. Of all today’s big biotech companies I’m highest on Regeneron Pharmaceuticals (NASDAQ:REGN), not because of any particular drug they make but because they have a system for drug discovery, called VelociSuite, which allows quick manipulation of mouse DNA, so it identifies compounds for further research. 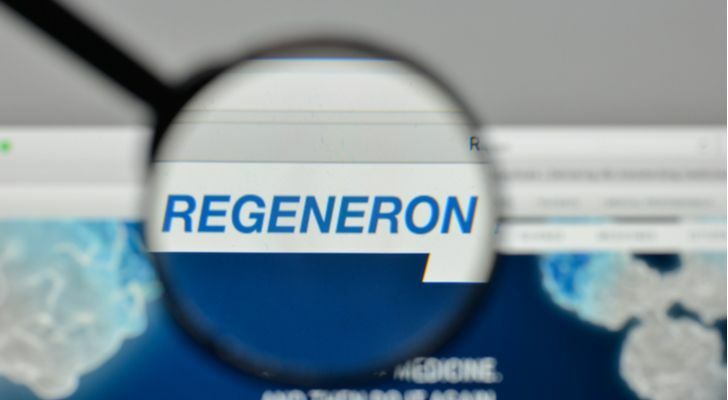 This lets Regeneron build a broad pipeline, with treatments for eye disease, cancer, arthritis, and heart disease, among other things. It’s not dependent on the fate of any single drug, and spreading risks is the key to long-term success. My wife has had a great career in the field of transaction processing. When she started in the 1980s she called it a great long-term bet. She liked to write programs that “make money” whenever they run. If running her program brought in just a few pennies, she figured, the pennies would add up. The big dog in this business is Visa (NYSE:V). When Visa says jump, other processors ask how high? Visa defines the terms of financial processing, having evolved from a Bank of America (NYSE:BAC) credit card, BankAmericard, into a cooperative owned by many international banks in the 1970s, then into today’s public company, which began trading in 2007. Since that launch, Visa stock has risen 500%-plus and delivered a steady stream of dividends. I can’t guarantee that plastic credit cards will remain a thing in 30 years, or even that relationships with banks will remain the way you buy or sell. During this decade India has launched a major era of innovation, with cheaper payment gateways easily accessed by mobile phones. Visa is countering with a business payment network, and it opened a tech center in Bangalore back in 2014. Visa got into payments for convenience, India to fight crime. Whatever the motivation, electronic payments are a long-term trend any investor would be wise to be on top of. I own AT&T (NYSE:T), but I’m not sold on its present strategy of trying to tie content to its networks. Today’s company would have also been a long-term bet in 1978, but it is a completely different outfit. That AT&T was broken up into seven regional Bell operators, a computer company and an equipment supplier. The equipment supplier disappeared into Nokia (NYSE:NOK) and the long-distance company would have failed, too, except it bought McCaw Cellular in 1994. Combining those operations with the wireless operations of Southwestern Bell, the regional Bell covering Texas and the Southwest, brought AT&T back once Southwestern took the AT&T name. Today’s company is based in wireless, although it continues to run wired networks, some of which are being upgraded with optical fiber, turning them into the equivalent of cable television franchises. AT&T has assets in the internet core but is no longer the dominant player there. Cloud Czars like Alphabet, Microsoft and Facebook are now the heaviest investors in long-distance cables connecting the world. 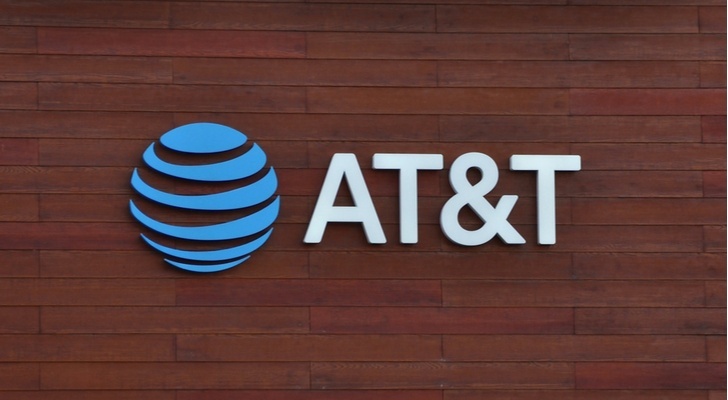 AT&T is in the news today for its purchase of Time Warner, which means it owns CNN and other entertainment assets worth $84 billion before the deal was done. Its current strategy is to tie its network services to those assets, to guarantee people buy its movies and TV streams. I personally think this strategy is doomed. Owning a wire, or wireless infrastructure, doesn’t mean you can make me buy your TV show or movie. But as communication evolves, over the long-term, I do think AT&T will stumble into new opportunities, and so I own it. After all the dividend yields 6.5%! Once upon a time, even before I became a reporter, when International Business Machines (NYSE:IBM) ruled the computer business, which was its only long-term play, its competitors were known as the BUNCH — Burroughs, Univac, NCR, Control Data and Honeywell (NYSE:HON). They all tried to compete with the giant, and all failed. Burroughs and Univac became Unisys (NYSE:UIS), now worth under $1 billion. Control Data disappeared after trying to become an early leader in online education. NCR (NYSE:NCR) was acquired by AT&T in 1991, then spun-out. It’s now best-known for its ATMs, with a market cap of $3.3 billion, and it’s based in Atlanta. The survivor was Honeywell International, but as with AT&T, this is a completely different company. Today’s company is a conglomerate, centered in aerospace, but it also makes smart thermostats, advanced materials, and safety equipment, as well as software. The company most like it is United Technologies (NYSE:UTX). Over the last five years, this new Honeywell is up 75% in value, with a market cap of $109 billion, and I think it will continue to thrive if it continues to evolve. Its success illustrates a key to any long-term success story, the willingness to get out of low-margin, low value-added businesses, and to try new things when you’re getting beat. Honeywell’s oldest product, and the heart of the old company, is that humble thermostat, invented by a man named Albert Butz in 1885. Honeywell’s modern life began a century later with its acquisition of Sperry Aerospace, a defense contractor. This led to its own purchase by AlliedSignal in 1999, which kept the Honeywell name on the combined company. That, in turn, is leading to the spinoff of its home and transportation units, including the thermostat company. That should be done by the end of the year. There are no guarantees that future management will be as clever and forward-thinking as the people running Honeywell now. I never would have dreamt in 1978 that General Electric (NYSE:GE) could be wrecked, but it was. Still, the Department of Defense is a reliable source of revenue, and the technologies it funds remain a key to economic growth. You’re using one right now. I put China Mobile (NYSE:CHL) on this list as a warning. Don’t put all your long-term financial eggs in one basket, even if that basket is American. China’s rise as an economic power since 1978 is as remarkable as America’s own rise in the 19th century. As with our own rise, it was built first on agriculture, then on industry, and is now entering its post-modern phase of consumer choice and technology. The best explanation of all this is Joe Studwell’s book, How Asia Works. China Mobile is the AT&T of modern China, only without Time Warner. It was formed 20 years ago with the break-up of the nationally owned monopoly. It is based in Hong Kong and has become the dominant provider of wireless phone and internet services for China, with 887 million wireless customers and 113 million getting wired broadband. 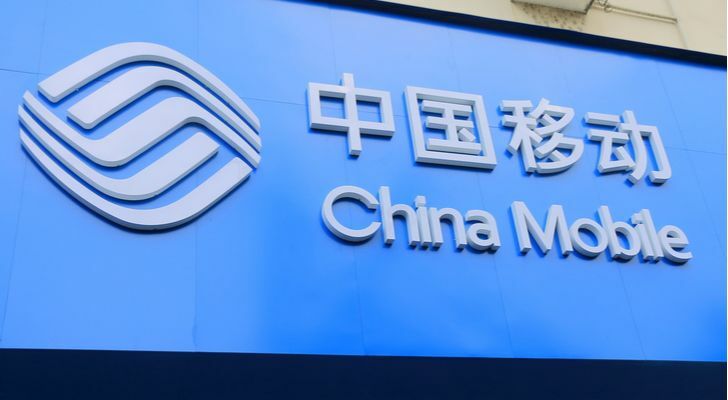 China Mobile’s gross profit is roughly two-thirds of its revenue, and it brings more than $1 in every seven to its net income line. It has over $66 billion in cash and short-term notes on its books, and it is now the biggest player in the world of global broadband, overtaking local rival China Telecom (NYSE:CHA). Betting on China Mobile is betting on China. That doesn’t make it a bet against the U.S., but rather a hedge based on the demographics of Asia, where there are billions of young minds eager to grab tomorrow’s opportunities. If you want to know where the next Steve Jobs, Bill Gates or Jeff Bezos is going to come from, and if you want to be in the economy for the long-term, look there. Look wherever there are young, scrappy and hungry entrepreneurs. Don’t ignore Africa, or Latin America. Even the Middle East may someday put down the guns and get down to business. But before you buy any of these stocks, first own an index fund. Dana Blankenhorn is a financial and technology journalist. He is the author of a new mystery thriller, The Reluctant Detective Finds Her Family, available now at the Amazon Kindle store. Write him at [email protected] or follow him on Twitter at @danablankenhorn. As of this writing he owned shares in MSFT, REGN, T and AMZN. Article printed from InvestorPlace Media, https://investorplace.com/2019/01/7-best-stocks-to-buy-until-the-next-seismic-shift/.